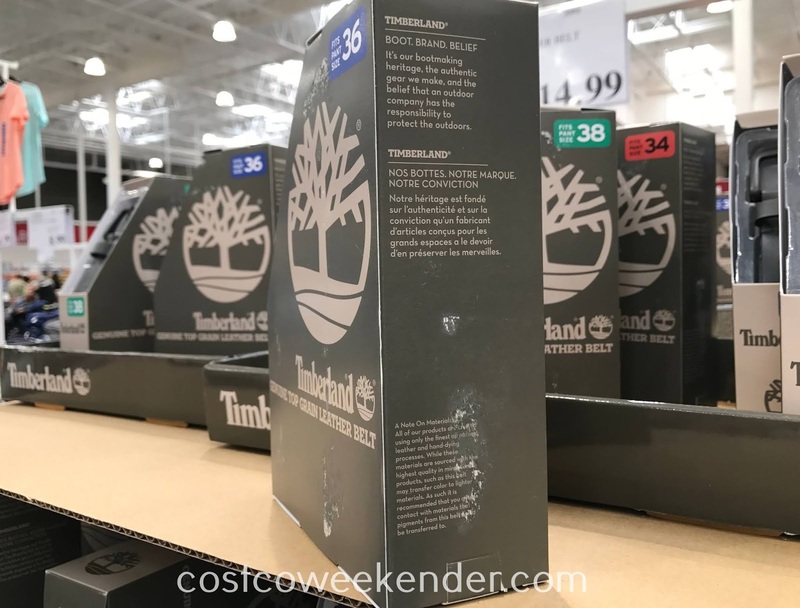 Dressing up doesn't have to be expensive especially when you shop at Costco. 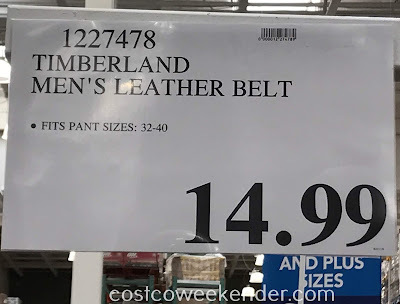 It's quite ridiculous for a belt to cost more than $50 when you shop at a high end store or department store. Although Timberland is known for their boots and outdoor apparel, the Timberland Men's Leather Belt can be used for all occasions: a casual night out or even just running errands which makes it a versatile yet essential accessory for your wardrobe. 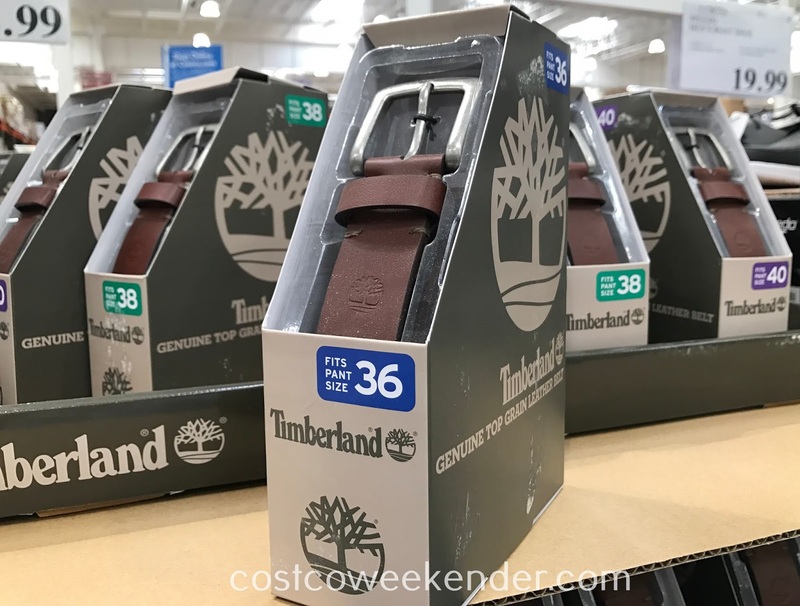 You'll find that the Timberland Men's Leather Belt will live up to the rugged reputation of the Timberland brand. It's our bootmaking heritage, the authentic gear we make, and the belief that an outdoor company has the responsibility to protect the outdoors.